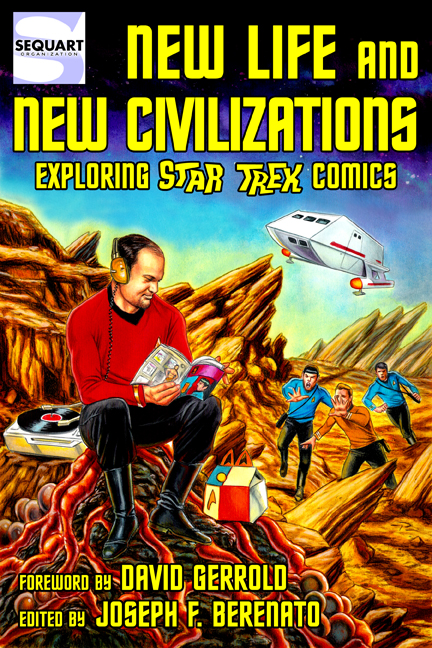 New Life and New Civilizations: Exploring Star Trek Comics examines the long history of Star Trek in the four-color realm, featuring insightful essays from popular Trek comic scribes and novelists, as well as other experts. After almost 50 years, the human adventure is still just beginning — find out why Star Trek comics have not only lived long, but prospered. The book features a foreword by David Gerrold (author of “The Trouble with Tribbles”) and a cover by Patricio Carbajal. It runs 304 pages and is available in print and on Kindle. You can read more about it on the book’s official page.